Welcome to The Toy Barn, we are glad you are here! The Toy Barn, located in Dublin, Ohio, extends over 11 acres, 5 unique building and has 8 showrooms. We shop around the country and only purchase the best of the best. From classic muscle cars to late year, low mile, practically new vehicles, we strive to keep over 300 of the cleanest, most sought out vehicles on the pre-owned market. That is what make us a leader for pre-owned cars in Columbus, Ohio. The Toy Barn employs strong and dedicated sales managers with many years of experience satisfying our customers' needs. 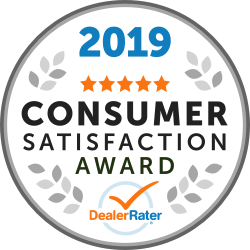 The Toy Barn team is relentlessly committed to offering the best selection of Magnificent Previously Owned Automobiles, while providing each customer with an exceptional experience. Feel free to browse our inventory online, request more information about vehicles, set up a test drive or inquire about financing. At the Toy Barn, we offer coast to coast service for our out of state customers. Buying a car online has never been easier. From filling out paperwork and shipping it to customers, to sharing pictures, videos and vehicle history information, the Toy Barn knows how to take care of our customers across the country. Contact one of our Sales Managers today. We have a feeling you'll love seeing your new car delivered at your doorstep. At the Toy Barn, we travel coast to coast to hand select cars with perfect pedigrees, low miles and the best options. When a car arrives to us, we put it through a quality safety inspection to ensure that it looks, feels and drives great. We offer multiple warranty and protection products to ensure that you leave the dealership with peace of mind with your purchase. View our broad selection of Magnificent previously owned vehicles today!